News flash: we have a sweet tooth. 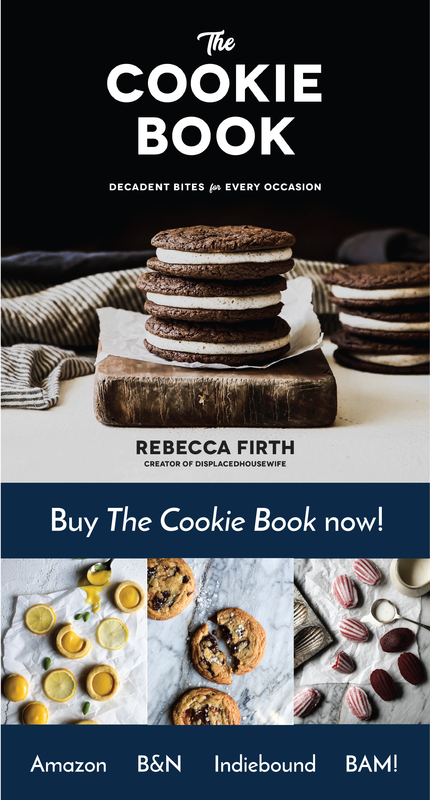 This is my first full year of doing DisplacedHousewife and it was super fun (and kind of exciting) to dig into my website’s analytic’s and see what you’re all lusting after. 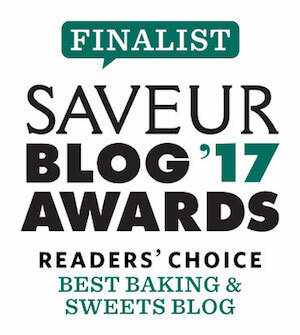 And, it would appear from the top ten recipes of 2015, that we all like chocolate and sugar and brown butter and salted caramel things…a lot. Current mood: Oscillating between sweets and booze to could someone pick me up a green juice I feel soooo polluted. Shocking? No. It’s the same merry-go-round every year starting at Thanksgiving. By the time post-Christmas-pre-New-Year’s rolls around I’m frantically combing through all of my healthy cookbooks. Yesterday I was perusing a paleo cookbook and wondering, could this be me??? We’ll re-adress this situation once January 1st hits us like a harsh splash of arctic water to the face. 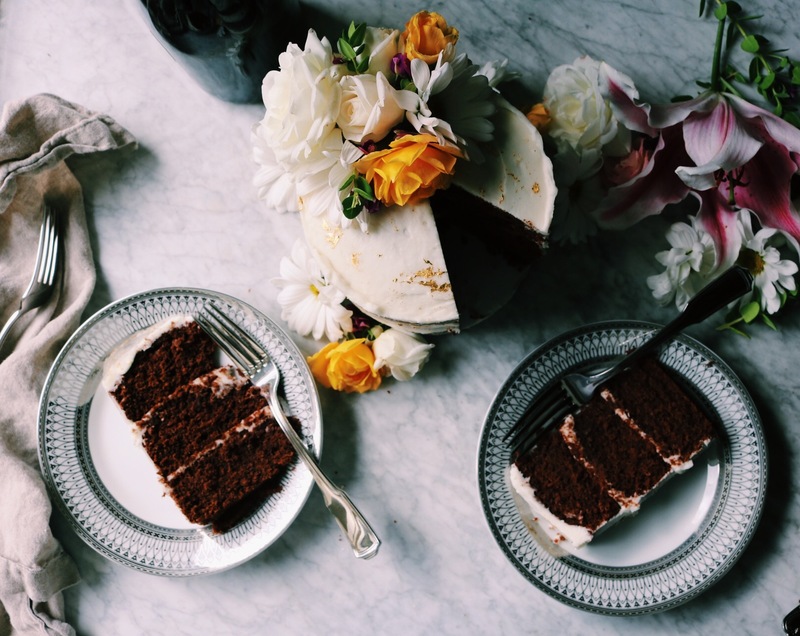 Below are the most viewed recipes on DisplacedHousewife from 2015 and include some of my most favorite treats that I make more than I’d like to admit. 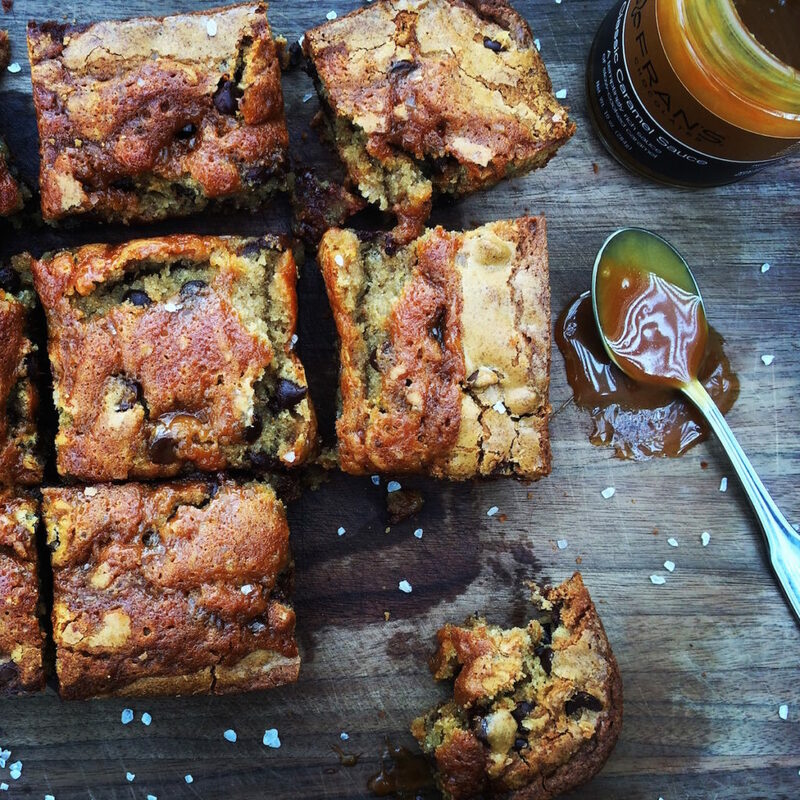 I was super excited that you all gave me an excuse to make salted caramel blondies one more time in 2015. Thank you. 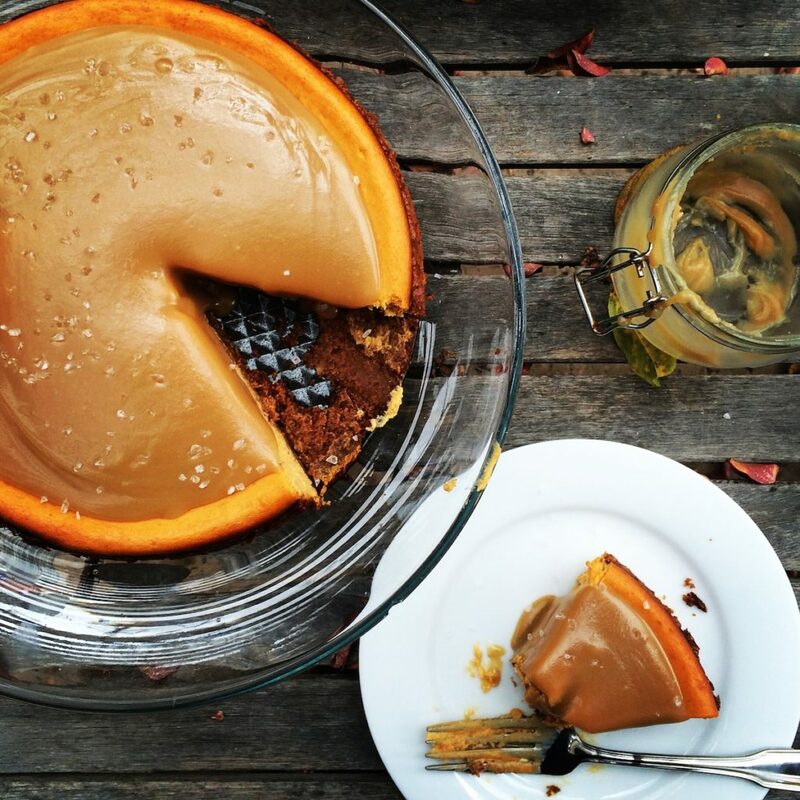 What recipes would you like to see in 2016? I’m thinking more sweets…but give me some specifics in the comment section below. If you’re feeling it… Or not. Happy New Year. I hope it’s filled with lots of love and laughter. I mean…what else is there to say? These are a merger between Dash & Bella’s and Martha Stewart’s blondies. There is espresso, caramel, flakes of sea salt and nuggets of dark chocolate swimming throughout. Vanilla ice cream is a Blondies’ best friend. Don’t serve one without the other. I love the idea of cereal in cookies. We have the Milk Bar peeps to thank for that. I equally love a bowl of Cocoa Pebbles…so these were a natural outcome. A symbiotic compilation of dark chocolate, espresso (I mean…) and heavenly Cocoa Pebbles. Perfect for breakfast or anytime you need a kick in your get-along. You won’t be able to stop at one…I’m just warning you. 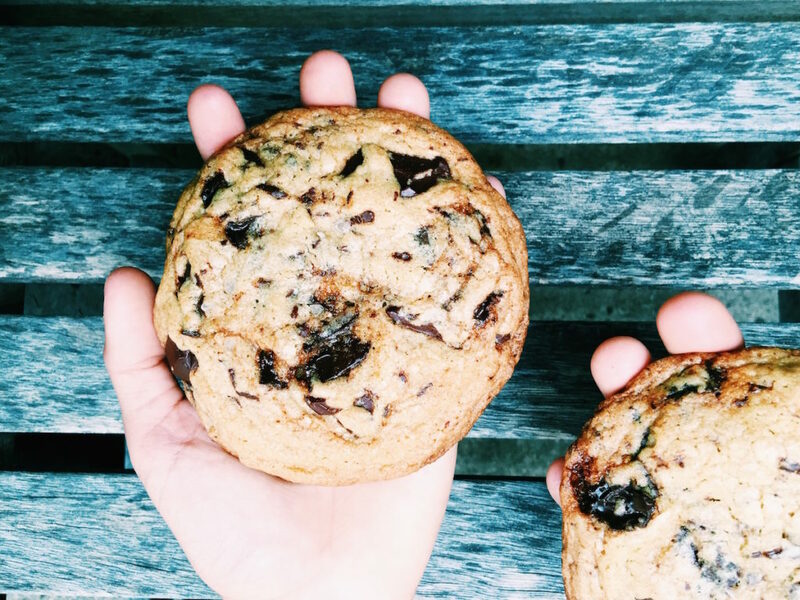 Your hunt for the perfect chocolate chip cookie is over. I know, you’ve heard it before…but I’m serious. I mean it. 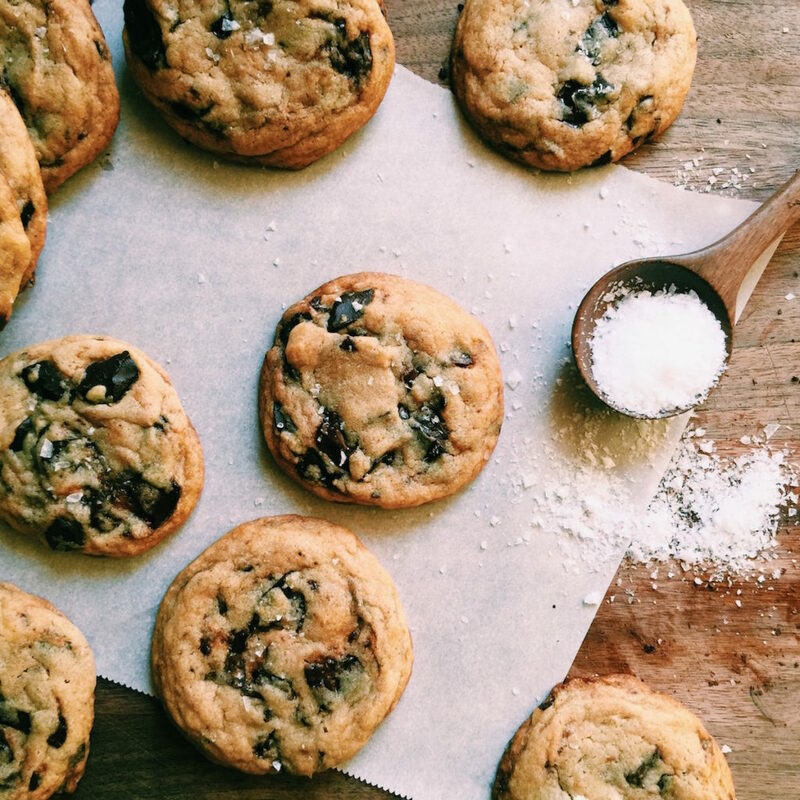 A little bit of bread flour, a little bit of oil and a little bit of chill time gives you the most amazing classic chocolate chip cookie experience ever. I keep this dough in the fridge (or the freezer) so that I can have a cookie at a moment’s notice. We’re those kinda people. 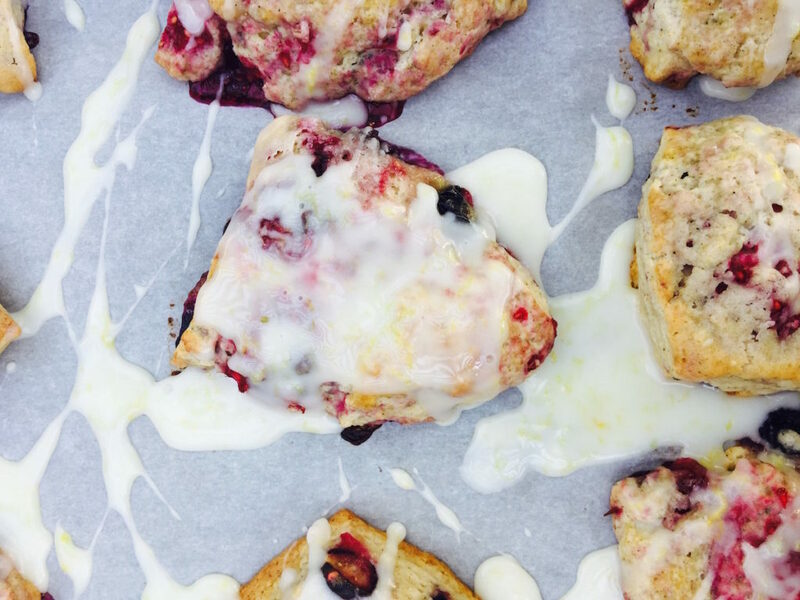 I would have shed a wee tear if one of my scones recipes hadn’t made it to the top ten. Fuh-reals. The swirls of blueberries and raspberries nestled beneath globs of fresh lemon glaze flaked with lemon zest are just breakfast perfection. I’m gonna work on being modest in the new year. Really. This guy gives me all kinds of fuzzy feelings. Nary a Thanksgiving passes us by without him on the table…all slutty and excited to be alive. Lots of people made this beauty this past holiday season and I thank all of you for sending and/or tagging me in photos. Love it when I see photos. Hint. Delicious + foolproof AND you can make the dough on Sunday and have it sitting and hanging out in the fridge until Wednesday for dinner. You can also freeze the dough and pull it out for a quick dinner. 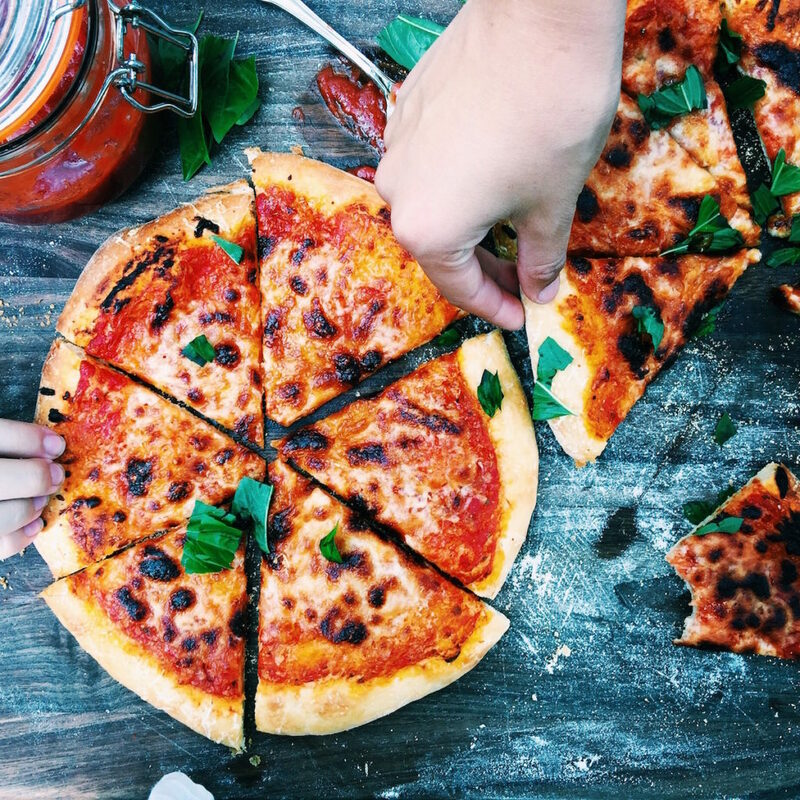 Yes, I’m making the case for homemade pizza as a quick, midweek dinner. It’s happening people. This is the year. With this cookie I was playing a game I like to call: How Many Ways Can I Make A Chocolate Chip Cookie? We play this game weekly. My son Gavin and I LOVEEEEE these. The olive oil gives ’em a little personality and swagger. Swagger’s good in a cookie. 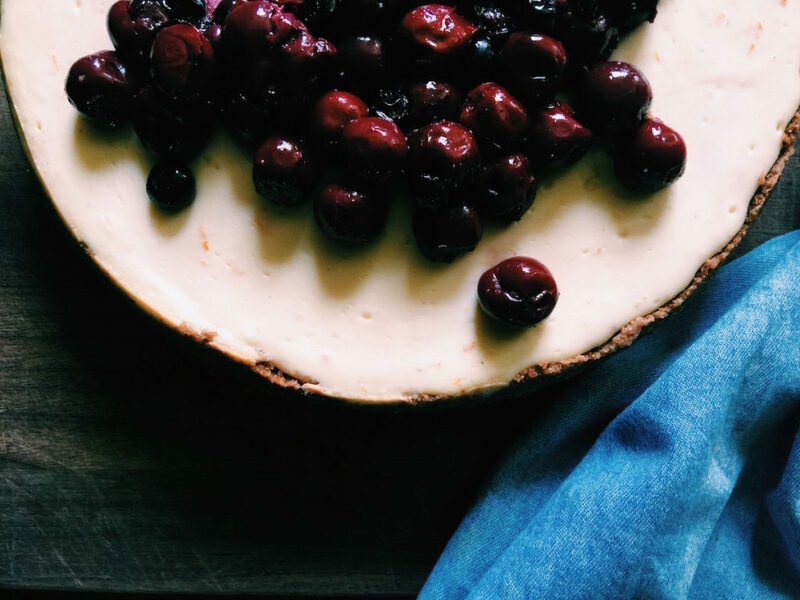 This is the best basic cheesecake recipe on the planet…it’s completely flexible so you can dress it up or down (flavor-wise) at your whim. I also truly love the instructions…they practically guarantee no cracks. It’s what I look for in a cheesecake. In fact, if you want to make #5, I would follow the water bath instructions from this cheesecake. Just a tip. 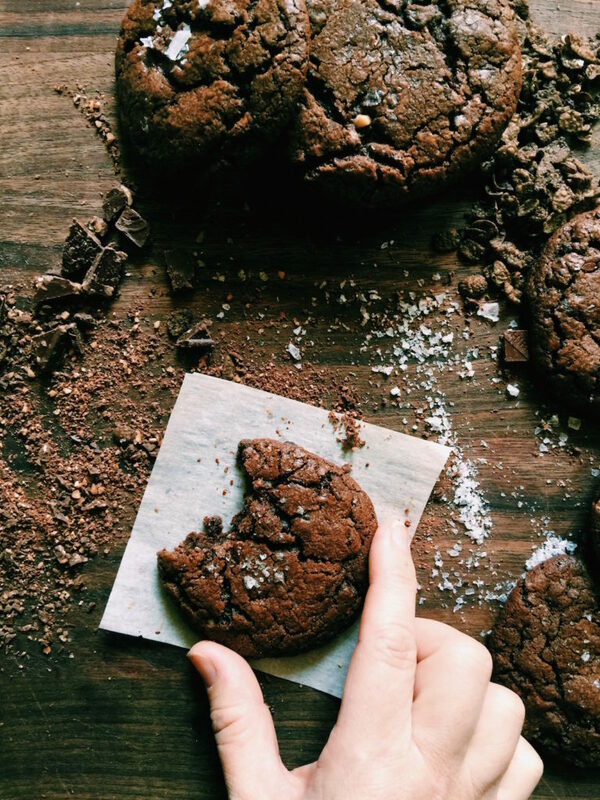 Peppermint Bark meet Chocolate Crinkles. 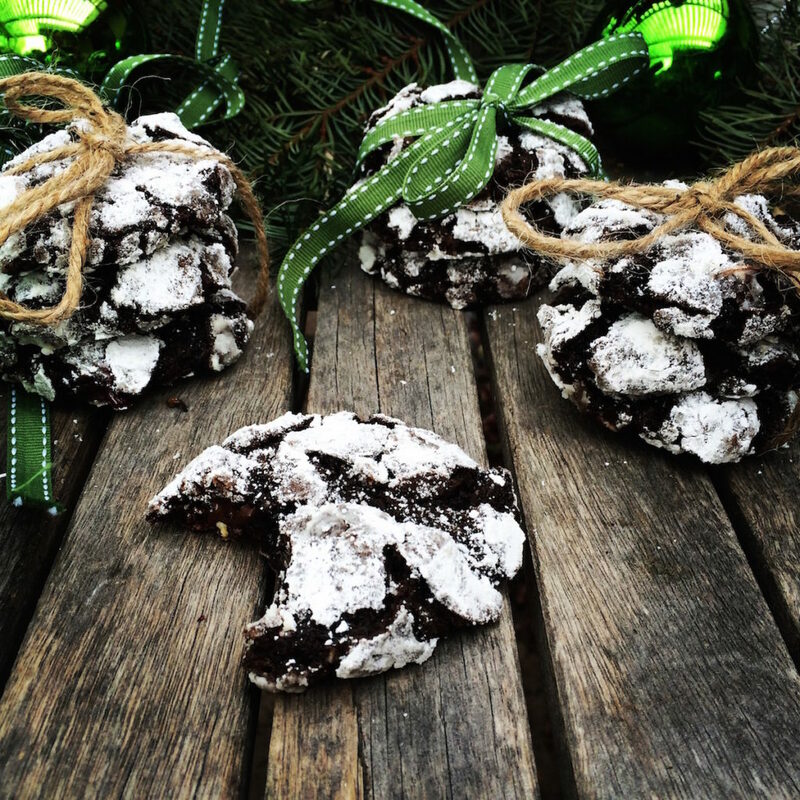 Chocolate Crinkles meet Peppermint Bark. Perfect holiday cookie; yet it’s super easy to pull out the bark and make the cookies without for all of your year-round cookie needs. Your welcome. Love this recipe for so many reasons. 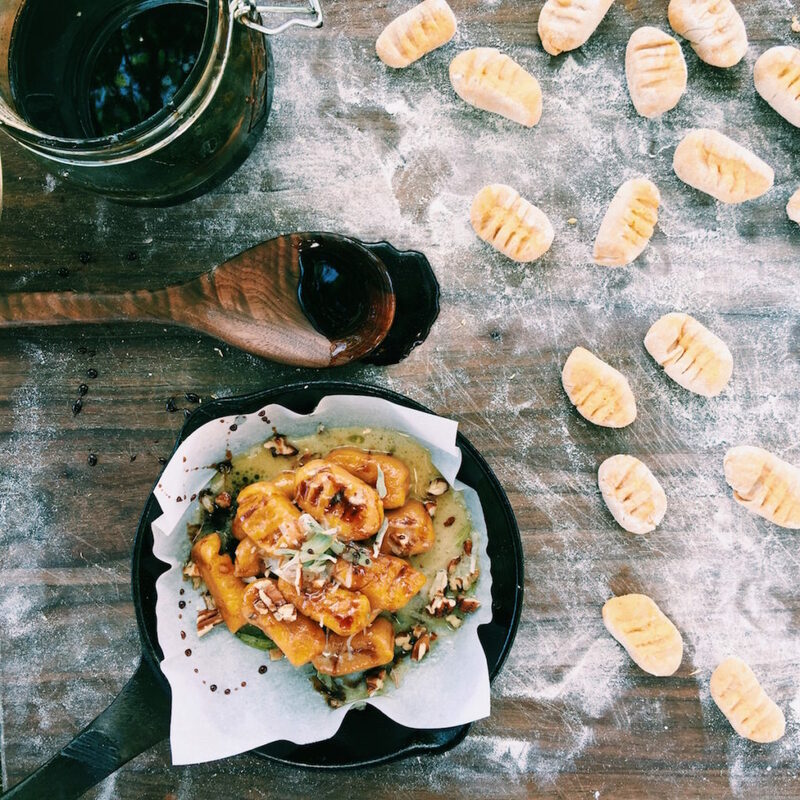 Gnocchi is surprisingly so easy to make (just use a light hand and don’t overwork your dough…think pie crust and the like) and they need few ingredients. Additionally, pomegranate molasses, where have you been all my life? I hit this last ingredient like it was my job this year. In a cocktail, drizzled over pork, over chocolate pudding cakes. For awhile it slept in a mason jar next to my bed for inspiration. I’m kidding. But we’re that tight. Get to know this guy in the New Year. He’s a game changer. Last year, my post for this week was this New Year’s Eve dinner: classic braised short ribs with cheesy sweet potato quinoa. Check it out. That cheesy sweet potato quinoa is my jam. 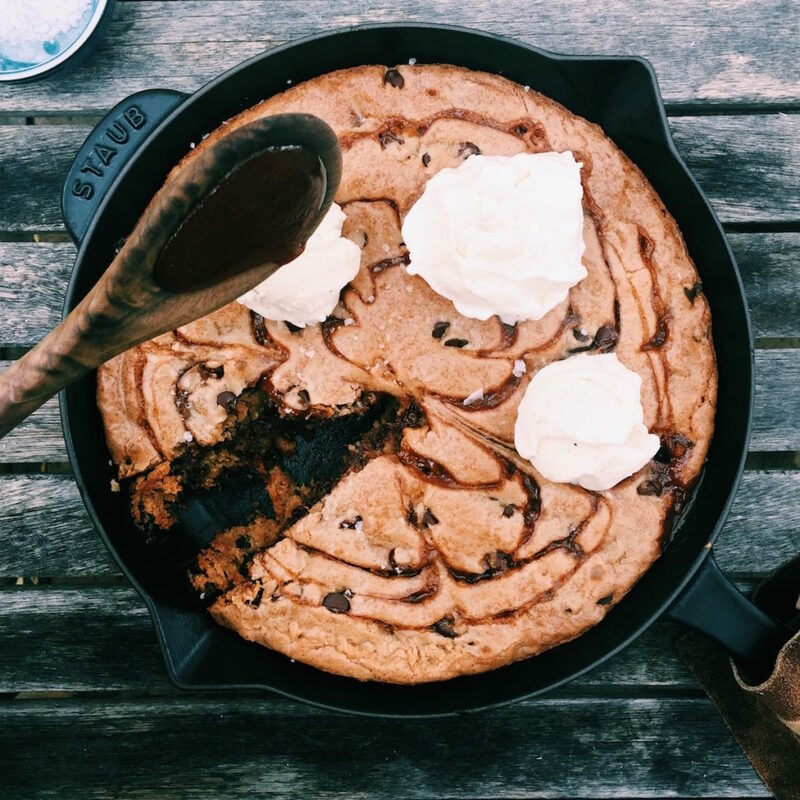 I’d like to give a quick shout out to Staub and the feedfeed…they sent me that beautiful Staub cast iron (the photo at the very top…that the blondie is in) pre-Christmas. So beautiful. So nice. So happy. I LOVE IT. I’ve made all of these this year!! I hope you had a great holiday season!